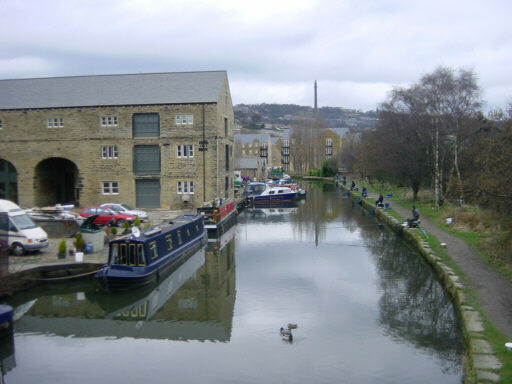 The Rochdale Canal leaves the Calder and Hebble Navigation to the left opposite the sign. 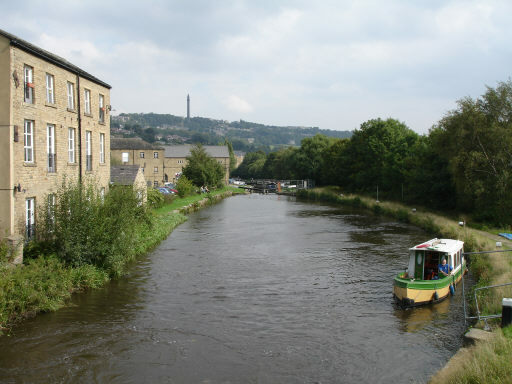 Looking back from Lock 1, towards the start of the Rochdale Canal, with the Wainhouse Tower in Halifax looks down from the skyline. On the left is a warehouse which has now been renovated. 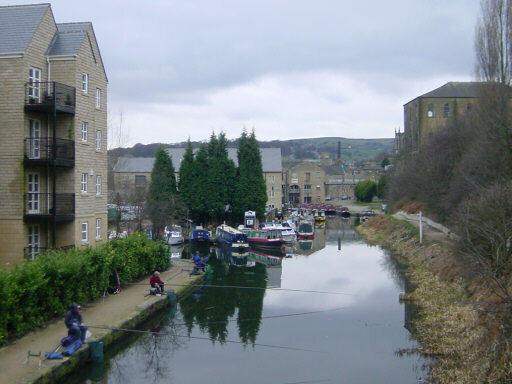 Looking towards Lock 1 from Lock 2, Sowerby Bridge. 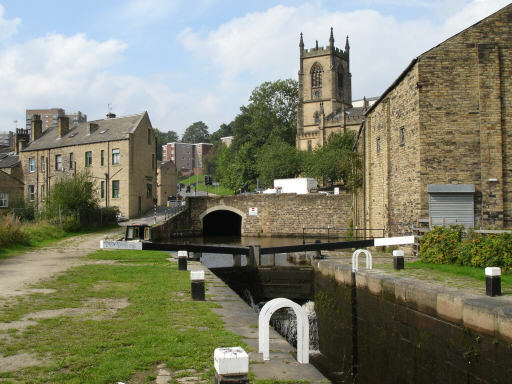 Having climbed two locks, the canal enters the new Tuel Tunnel. The next section of canal had been blocked and was re-built along a new line. Boaters must stop here and proceed on foot to the next lock and only navigate the tunnel when the lock keeper has prepared the lock and gives permission. Looking back to Lock 2 from Tuel Lane Tunnel. 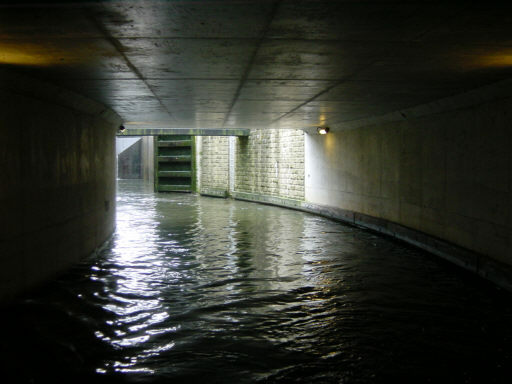 Going through Tuel Lane Tunnel towards the lock. 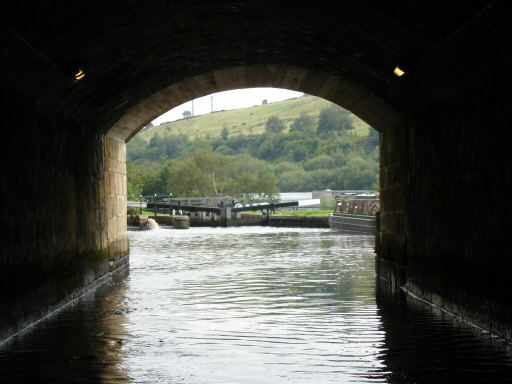 Looking back into Tuel Lane Tunnel, Sowerby Bridge. Entering Tuel Lane Deep Lock, which replaces the former Locks 3 and 4. 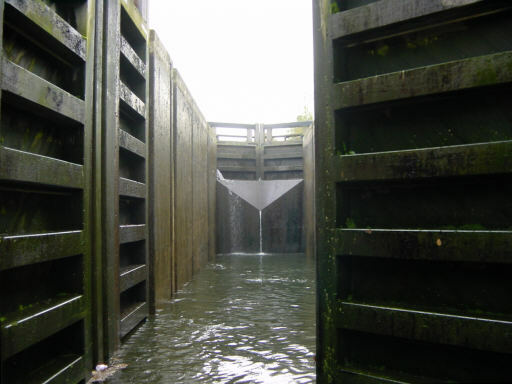 This is the deepest inland waterway lock in Britain, with a drop of around twenty feet. 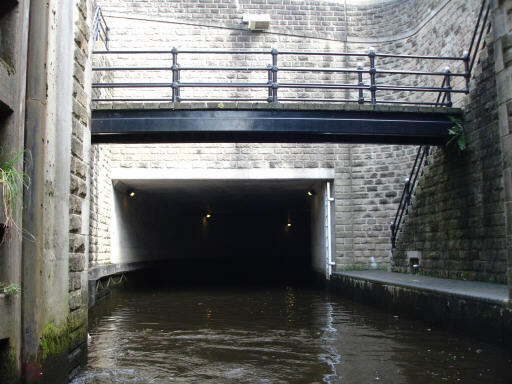 It has two sets of lower gates so that water can be saved when shorter boats pass through.